From what I could find, there are two types of common breakout boards currently in use: the “stick” breakout and the Nunchucky breakout. The “stick” breakout is exactly what it sounds like: a regular old breakout in the shape of a stick. This is designed to be manufactured dirt cheap and plug into the Arduino Uno’s analog pin header. It’s manufactured and sold by a bunch of different Chinese companies. The Nunchucky breakout is what I used for the McCree Hammershot’s Nunchuk support. It’s a larger rectangular board, with an additional pin strip for adding a female header and notches to hold the extension controllers’ retaining clips. This is by far the better option of the two, but it’s still lacking. For some reason, both of these breakouts have all six of their gold contact fingers at the same length. 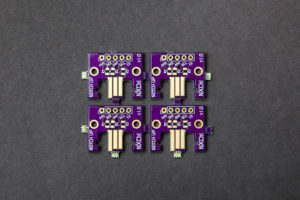 The vast majority of multi-pin connectors have two pins that are longer than the others so that power and ground make first contact. Otherwise when plugging in a device to a ‘hot’ connector, it’s a gamble which two pins will make contact first, sending power in unpredictable and usually undesirable ways. For the Nintendo extension controllers, the shorter pins are on the receptacle and not the plug. Available breakouts do not abide by these conventions. 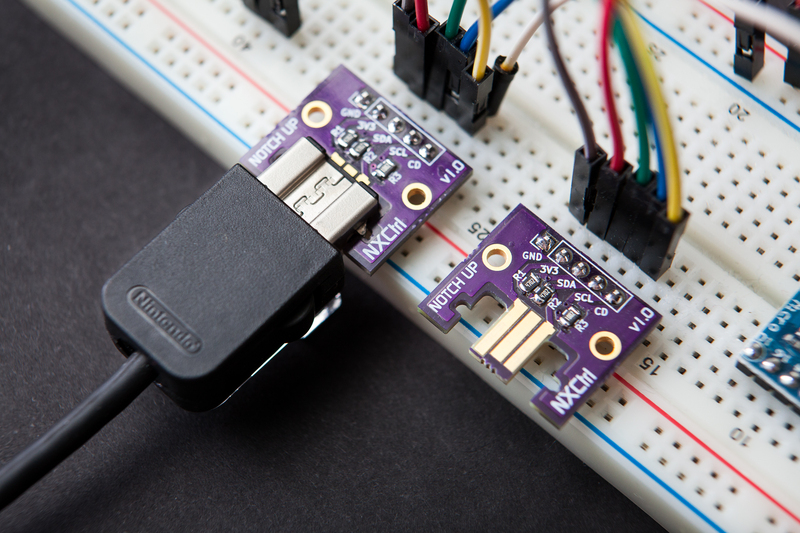 The Nintendo extension connector has a loopback functionality that connects pin #5 to VCC, allowing the Wiimote to detect whether an extension has been connected without attempting to talk to it over I²C. Neither breakout exposes this pin. As each extension controller has varying bus capacitance based on their design, the pull-ups for the I²C bus are on the extension controllers themselves and not the base unit. Nevertheless, the microcontroller requires some small pull-ups so that the bus doesn’t hang if the controller is disconnected. Current breakouts have no pull-ups of any kind, instead relying on the microcontroller to use its own internal pull-ups which are sometimes not available. The NXCtrl breakout solves all of these problems! 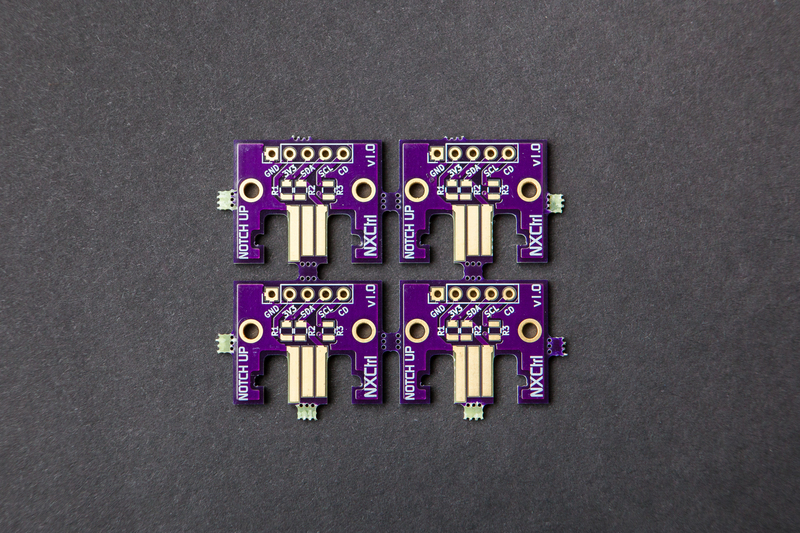 The 4 non-power fingers are set back 1 mm from the board edge to ensure the controller powers up before anything else. The “controller detect” pin is exposed with a 10 kΩ pull-down resistor for easy use with most microcontrollers. Finally, both the SCL and SDA lines have 47 kΩ pull-up resistors to prevent the I²C lines from floating if a controller is disconnected. When combined with the typical 1.9 kΩ pull-ups in the Nunchuk and Classic Controller, these give the system a total pull-up strength of roughly 1.8 kΩ. NXC breakout panel, straight from OSH Park using their auto-panelization. I ordered a batch from OSH Park and hand soldered the three resistors. I’ve been testing these breakouts with my latest projects, and so far they’re doing really well – they’re easier to set up than the other breakouts and having access to the controller detect pin is quite useful. This may only be version 1.0, but I don’t think I would change a thing. 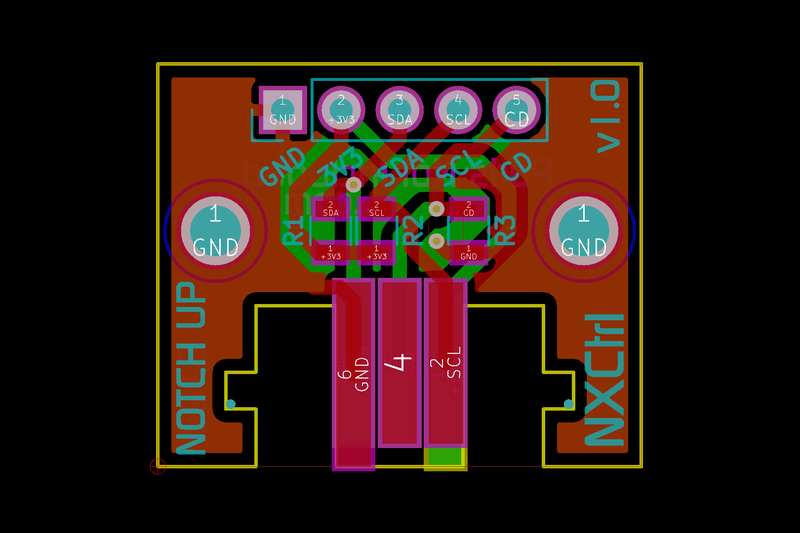 The layout is good, the silkscreen is clear, and the cutout for the connector is spot-on. I’ve got at least two projects using these breakouts in the works. Watch this space!